How Does God Confirm His Will To Us? Finding God’s Will can often seem like staring at two jigsaw puzzles with the pieces all mixed together. Which piece goes to which puzzle? And what image are we piecing together? 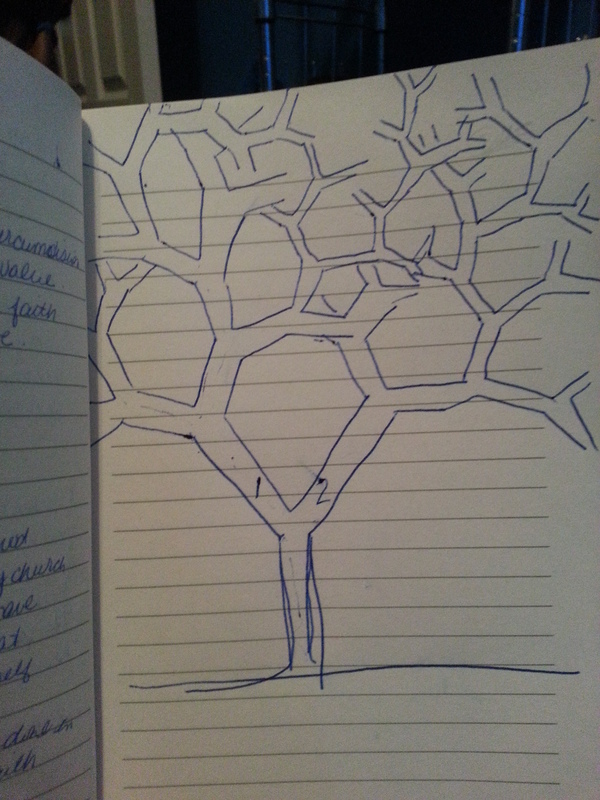 I’m not a famous artist but I remember how my mom ( who is a famous artist ) taught me how to draw a tree. It’s a series of Y’s. I drew this in my journal one day as I thought about the different choices I’ve made all trying to be in God’s Will. I love puzzles. Short ones, that is. The ones with about 100 pieces that can be completed in one sitting. I love the idea of putting together a 1,000 piece puzzle. I’d set up a place for it tucked away in a quiet corner by a window so this project can always be lingering in the background. I can pass by the table on my way to the laundry room, put a few pieces together, then carry on with my laundry and other things. I love the idea of setting the box lid before me, studying the color scheme and placing all the pieces in groups accordingly. I love the idea of being able to match the pieces to the picture and feel the click when those pieces interlock. I long for this in my life. Yet, so many times, I don’t find it. I can’t even find the lid with the picture! I try to group my pieces by color but so many times I can’t decipher if the green is the grass, the newly budded trees or a really cool shirt.